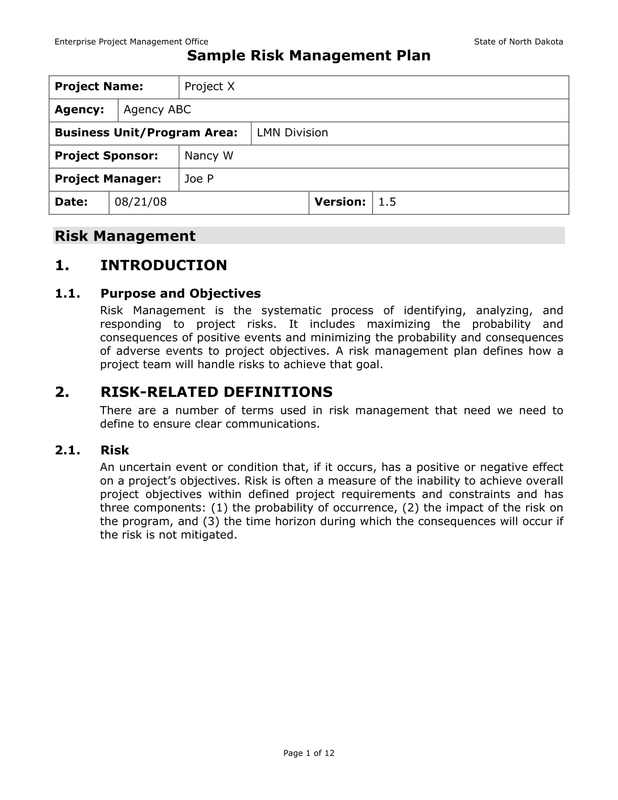 Risks can affect the development of projects. If you are a project head or a project manager, you have to ensure that you and your team will have a risk management plan at hand. Developing and planning remedial measures can provide a lot of advantages and other positive impacts to a business and the projects that it will execute. 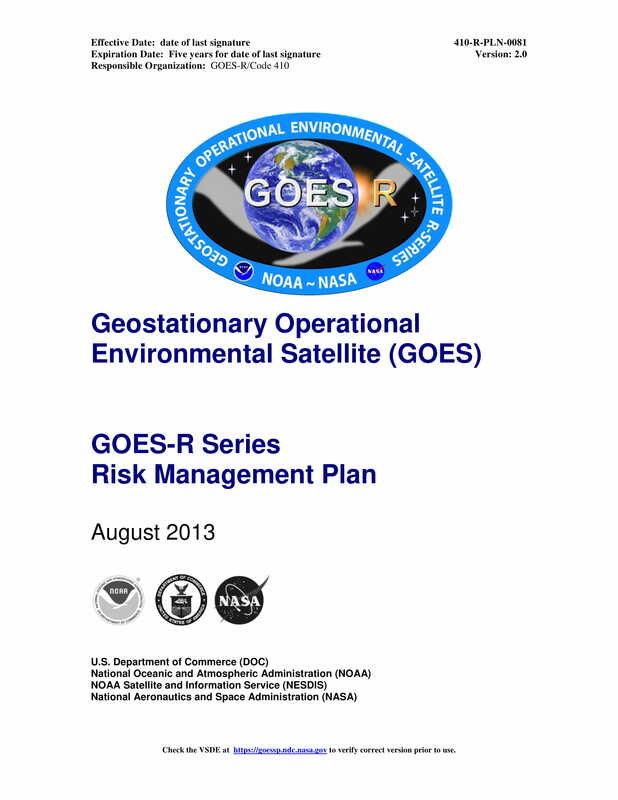 Using downloadable examples can give you one step ahead in making risk management plans as you can be more aware on what to put in the document. 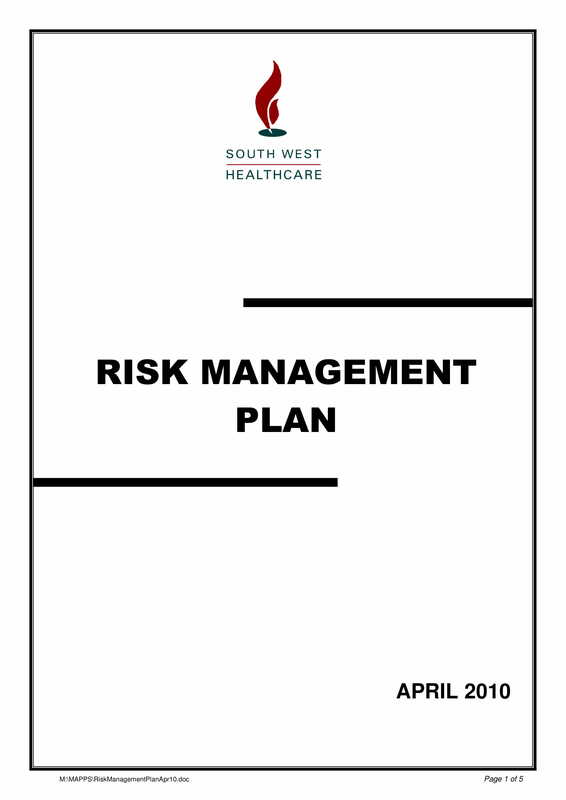 If you want your risk management plan to be more organized, having a risk management checklist is highly recommended. 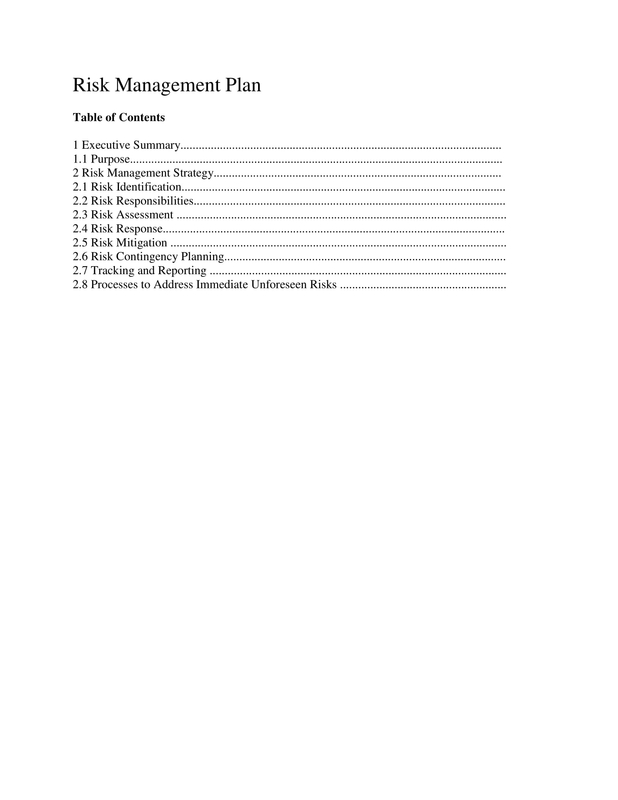 Browse through the selection of risk management plan examples in this post for you to be more knowledgeable on how to come up with an attainable and measurable risk management plan. 1. 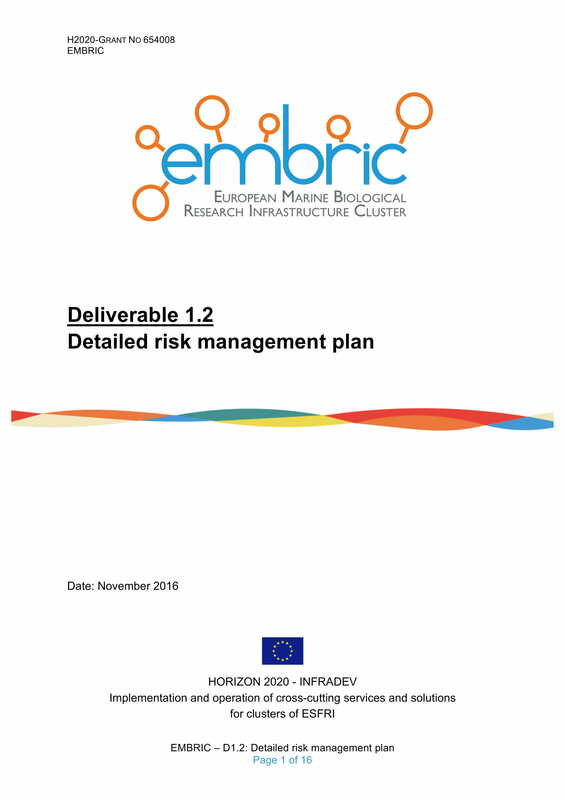 Risk management plans help in mapping out the solutions that can be applied and executed should actual risks occur within any of the phases of the project. This can help the project team become more resilient, prepared and goal-oriented even with the potential factors that can affect how they perform and how the project continues. 2. Risk management plans allow team heads to anticipate the things that can cause issues and problems during the project development. With this, it will be faster and easier to think of simple plans that can help all stakeholders of the project deal even with the most unexpected things that may happen in the future. 3. 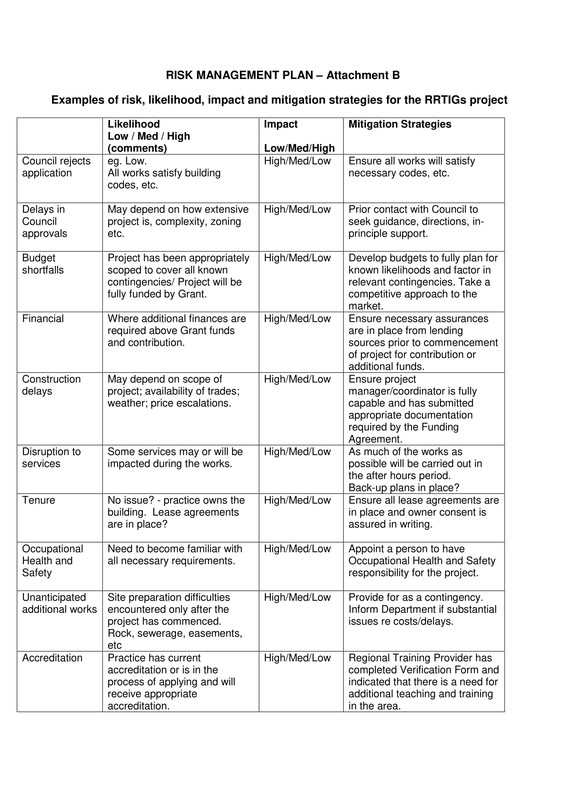 Risk management plans can lessen the damages of the effects and impacts of risks to the project. Having a risk management plan can further strengthen the efficiency and effectiveness of the entire project plan as well as the the productivity and involvement of the project team. 1. Make sure that you will develop an initial list of the potential threats that can affect the project completion. You also have to specify the effects that you are anticipating as well as the level of impact that the project can get from these threats and risks. You may also see advertising plan examples & samples. 2. Keep in mind that risks can occur at any given point and time. It can also be present in any parts or phases of the project. With this, you always have to be prepared either with preventive measures or action plans. Come up with an organized list of the call to actions that are necessary to be implemented if these risks arise. You may also like implementation plan examples & samples. 3. List the resources that you have at hand. These resources can be in the form of materials, items, and workforce. Knowing what you can work with when risks occur can make your risk management plan more realistic. You can create a workforce planning template and a stockroom organization checklist for this matter. 4. Ensure that you have a strong project plan. However, always be ready to tweak a few details from the proposed plan that you have made depending on the processes, functions and activities that can be affected by potential risks. This will make it easier for you to stick with the objectives of the project even if you will add or remove certain steps to make your strategic plans and goals be realized. Having these items readily available can give you a faster time in putting together all the content that are essential to be present in a simple risk management plan. 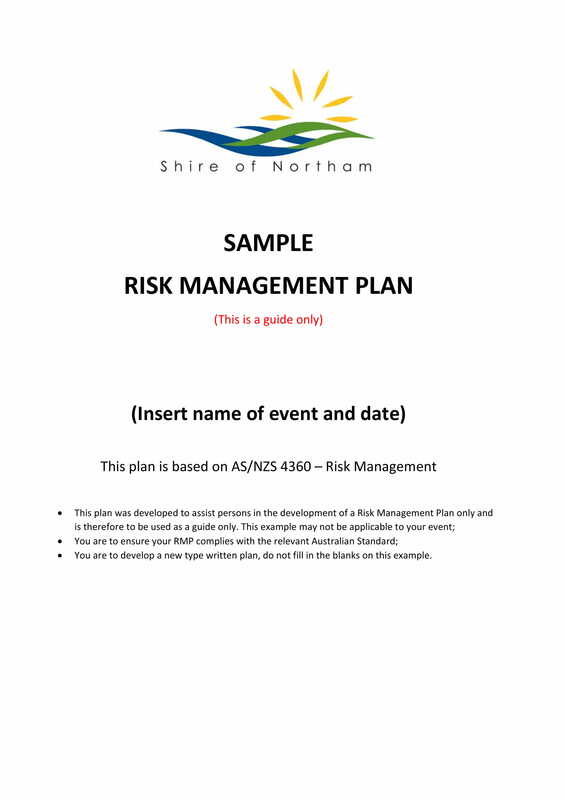 You may also see risk plan examples & samples. 3. 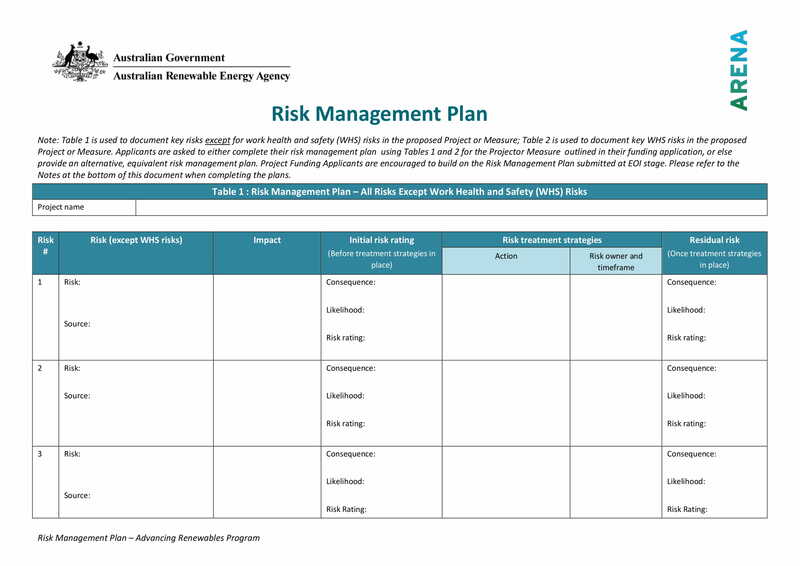 The budget that is necessary to be at hand to ensure that the call to actions listed in the risk management plan can be implemented any time of the day. 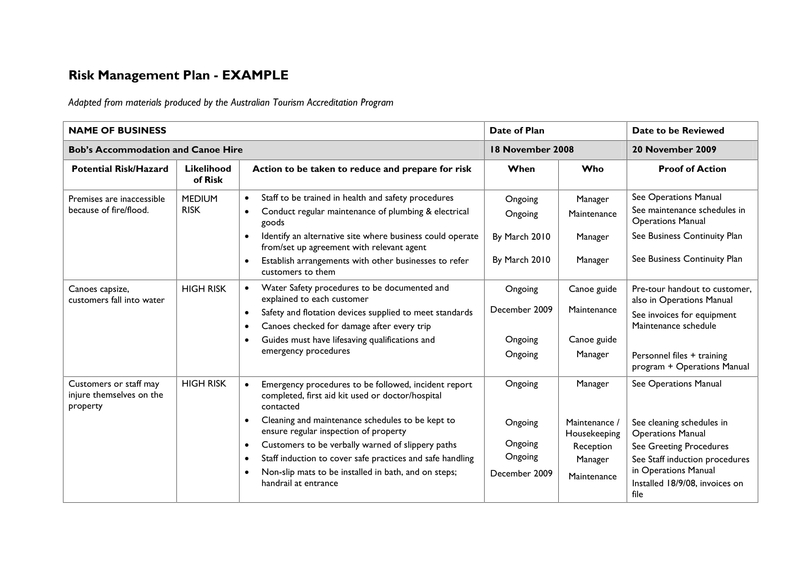 You may also like action plan examples. You may also check out sales plan examples. 1. Have a management agenda. 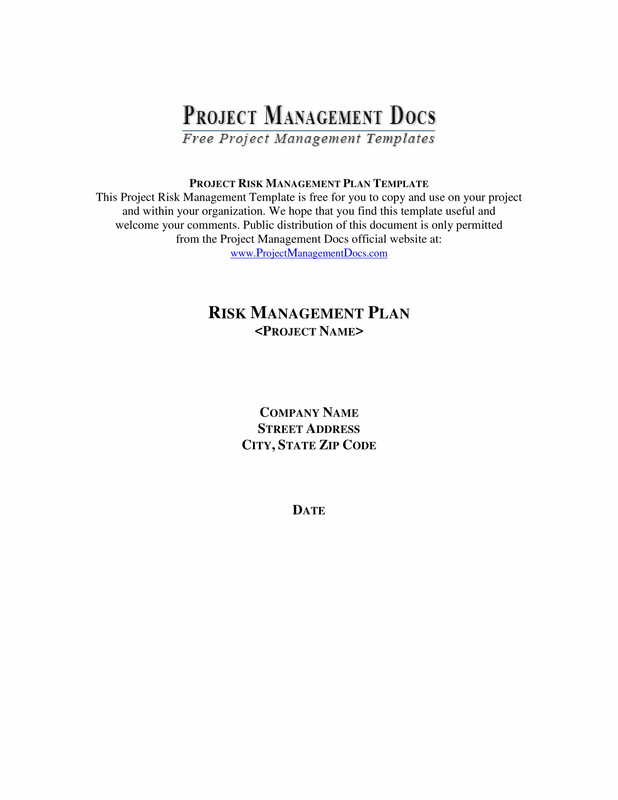 Allow the entities within the project to know the purpose of the risk management plan. You must also ensure that all the areas of the risk management plan are well-defined and properly discussed for misleading and unnecessary information to be clarified or eliminated right away. 2. Ensure that the people who will be tasked to create the risk management plan has full understanding of how risk management can affect the success of projects. 3. 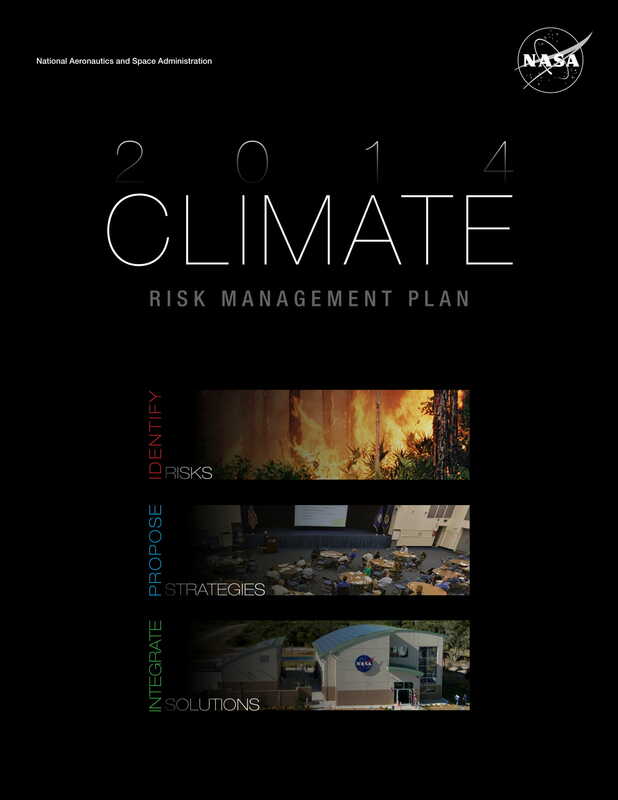 Develop contingency plans that are based on the actual resources that you can work with. You have to develop a risk management plan that is doable so that you can execute activities whenever needed. You may also see weekly plan examples & samples. 4. Aside from listing down risks that might happen, you should ensure that your risk management plan will also look into the probability of the risk occurrences. 5. Define the project from the perspective of all its stakeholders. You have to create a risk management plan that can be easily aligned and connected with the project where ti will be used. You may also check out personal plan examples & samples. 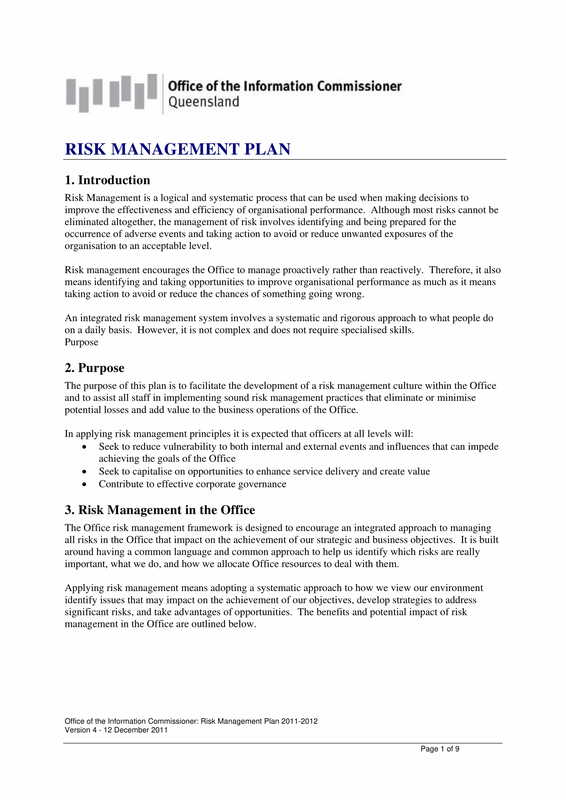 We believe that the items that we have discussed can help you develop your own risk management plan in a timely manner. 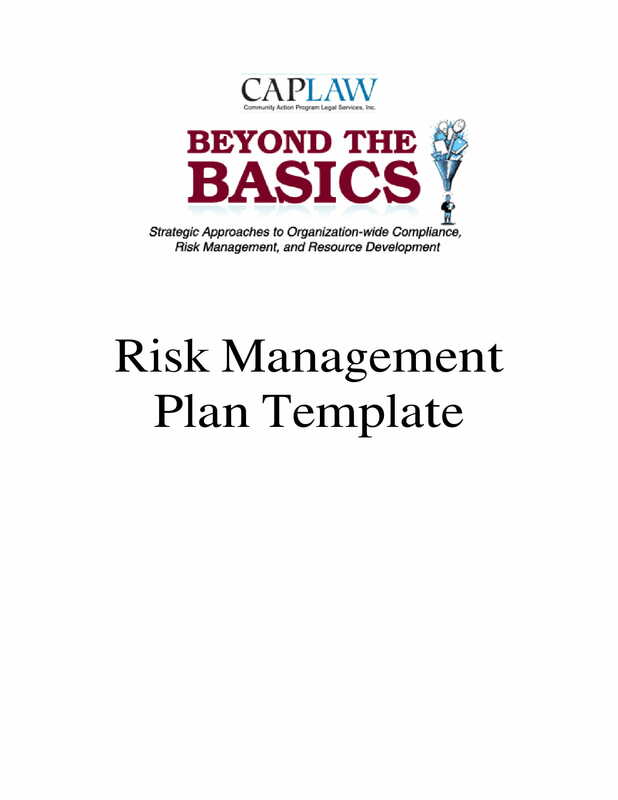 Start listing the items that you will include in the document and refer to examples and templates to help you put together all the elements of an impressive risk management plan. You may also like transition plan examples & samples.